﻿ Poland 1-1 Portugal (3-5 AP). Drawing never felt so good! 30.06.2016 » Poland 1-1 Portugal (3-5 AP). Drawing never felt so good! It's now 5 games in a row drawing at the end of regular time, as Portugal have beaten Poland in a penalty shootout this Thursday and earned their ticket for the EURO 2016 semifinals. 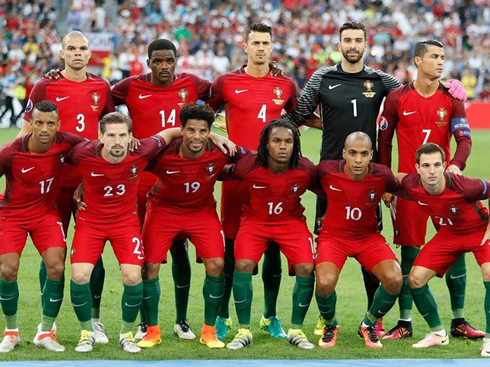 The Portuguese are now just 1 game way from reaching the much-wanted final. Portugal have advanced to the EURO 2016 semifinals, after beating Poland in penalties this Tursday night in Marseille, France. The two sides got to the end of regular time with a 1-1 draw as the scoreline, thanks to an opening goal from Lewandowski and an equaliser from Renanto Sanches. The two sides would then be forced to go into a penalty shootout to decide who would move forward in the competition and the Portuguese Team basically didn't fail to deliver from the spot. All the 5 Portuguese players who took a penalty scored, including Cristiano Ronaldo who scored the first and not the last from the series, which is usually what happens in situations like these. Next Wednesday, Portugal faces either Gareth Bale's Wales or Belgium. Another game, another difficult encounter and yet another victory for Portugal. The only side left in the tournament yet to win a game in the 90 minute period, is in the semi finals of the EURO 2016. And again, it was Quaresma who put the finishing touches on a marvelous night for Portugal, even if the product on the pitch wasn't up to scratch. That's been the theme of this EURO for Portugal, as they keep scraping by but they fail to capture the imagination of the fans. Yet, here they lie in the semi finals and a mere two wins away from glory. Poland were, by all measures, a worthy opponent and early on they looked to put the game to bed early. A fantastic 2nd minute strike from Robert Lewandowski after Cedric failed to deal with a long ball over the top to Kevin Grosicki, put Poland up early. Portugal now had to chase the game. And that they did, largely to no avail and Ronaldo and co struggled to find the back of the net. Ronaldo in particular had a rough time (as he's had all tournament admittedly, except against Hungary), missing a few guilt edged chances that he would have put away for sure on another day. 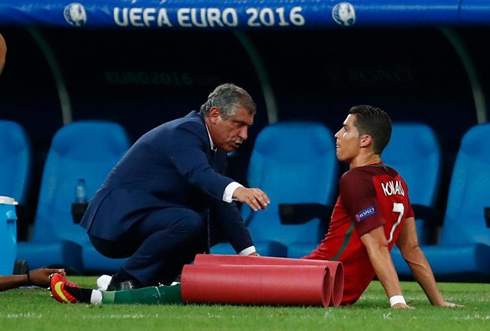 It's been the story of Ronaldo in this EURO 2016 unfortunately. Outside of his monster performance against Hungary, he's really struggled in front of goal this tournament and he continued to have a frustrating time this Thursday. 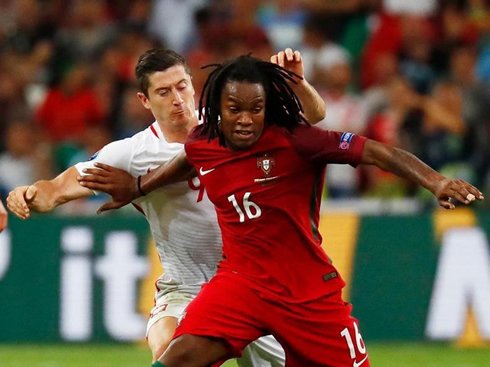 One player who didn't struggle at all however, was the youngster Renato Sanches. He would score the equalizing goal before halftime, a powerful left footed shot from outside the box that took a deflection on the way in, but a class goal still. Sanches has impressed so much in this tournament and another man of the match performance from him today was needed. That said, chances would be few and far between. After a grueling 120 minutes, both teams would head to penalties. A fate Portugal barely avoided against Croatia... Ronaldo stepped up first. And you could almost feel the tension. And he delivered, 1-0. Lewandowski stepped up next, and he did the same 1-1. It would continue like this, with both teams matching each other until Rui Patrício pulled off a magnificent stop on Jakub Blaszczykowski. Then, it all came down to Ricardo Quaresma, the most effective substitute of this year's European Championship. 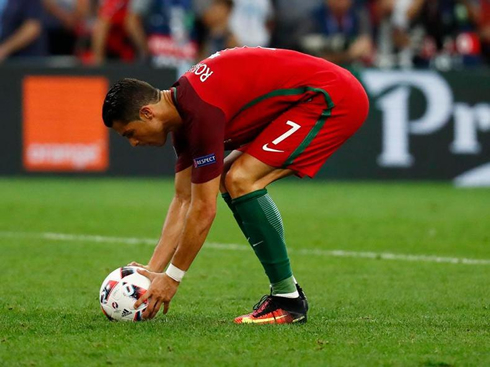 And he delivered well, scoring the last penalty of the game to lead Portugal to a victory in the shootout and a place in the semi finals. Their next opponent? The winner of Belgium vs Wales. Cristiano Ronaldo next game with Portugal for the EURO 2016 is on July 6 of 2016, against either Wales or Belgium. You can watch Juventus live stream, Wales or Belgium vs Portugal, Celtic vs Barcelona, Manchester United vs Borussia Dortmund, Wales vs Belgium, and Germany vs Italy, all matches provided from our live soccer EURO 2016 game pages.